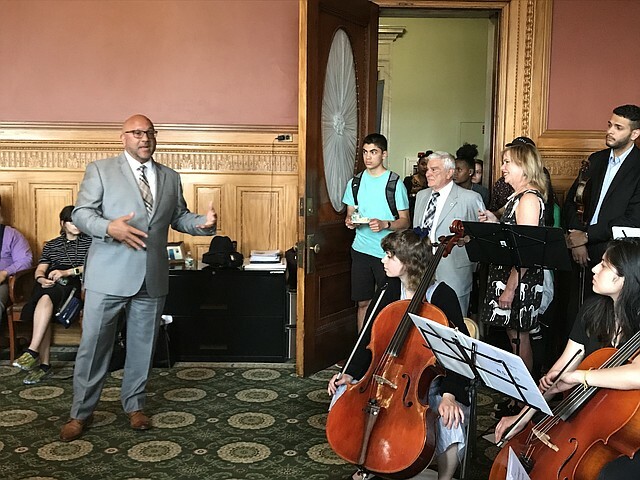 On May 3, Mass Cultural Council partnered with 15 organizations across the state to bring youth voice to the Massachusetts State House, and celebrate the young leaders who are recipients of this year’s Amplify grants. Framed by Andrine Pierre-Saint’s thrilling spoken word piece and introspective chamber music performance by Neighborhood Strings, the day brought Representatives Christine Barber, Paul Donato, and Jeffrey Sánchez to celebrate culture’s capacity to empower, elevate, and connect, magnified tenfold by the young performers, activists, and leaders present. Información del evento de ‘Amplify’ en Español.